Why he sounds like Rorschach on weed! 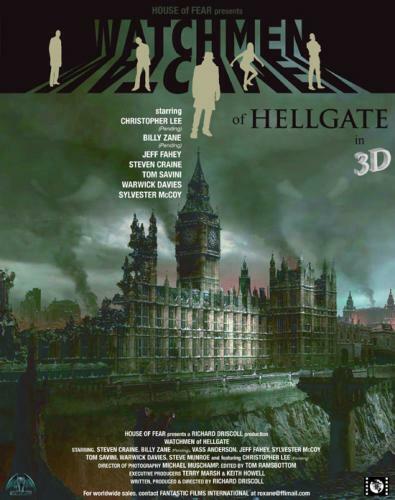 Watchmen of Hellgate – Billy Zane, Christopher Lee, Warwick Davies, Tom Savini and Sylvester McCoy to fight Nazis! This sounds like it could be absolutely incredible. Great concept and superb genre style cast. It’s got the main man Billy Zane and Sir Christopher Lee in it. WATCHMEN OF HELLGATE shows the aftermath of a world in which Hitler won the war. The year is 2084, the place is London and a new big brother is watching. This is a totalitarian world where the Nazi Party rules. The new chancellor is guided by Hitler, who lives on as a computer program after his thoughts and ideas were downloaded. 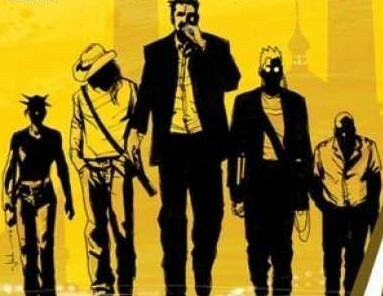 A vigilante resistance unit called the Watchmen were born to subvert the state, lead by five common man heroes. 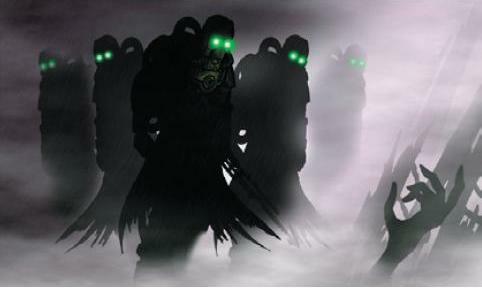 From their secret hideout in the Hellgate Hotel, they orchestrate mayhem until their leader is captured. Then, they must enlist the help of Captain Nemo and the Nautilus in order to burrow underground in an attempt to rescue their Watchman leader. It currently has Christopher Lee, Billy Zane, Jeff Fahey (Lost, Grindhouse), Warwick Davies (Willow, Return of the Jedi), Tom Savini (Dawn of the Dead, Machete) and Sylvester McCoy (Doctor Who). Richard Driscoll is the man behind it all and it will apparantly be in 3D. The always excellent Bleeding Cool have some worrying news. A Watchmen sequel might be in the works. Back in the day DC Comics President Paul Levitz had stopped any Watchmen 2 projects. He felt that this would go against Watchmen creator’s Alan Moore and Dave Gibbons hopes for the story. This was quite cool of Levitz as Moore had a huge break-up with DC Comics and Paul Levitz. Alan Moore and Dave Gibbons still have to be offered first refusal before any of these new titles could be published. They most likely won’t want to take on these jobs and it looks like DiDio has actually been looking for writers. If there are comics there could well be another film. I say thee nay! Watchmen was a standalone classic and anything else is just going to get on people’s nerves. Mind you if they go prequel then that may not be so bad, especially if Grant Morrison or Warren Ellis were involved. 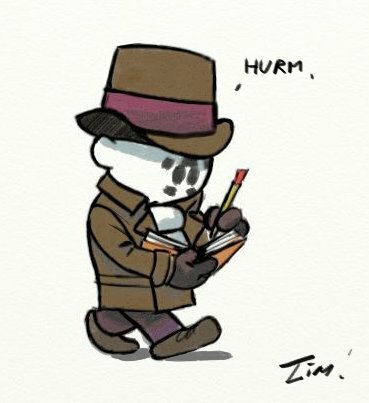 Garth Ennis doing a Rorschach prequel could be great. I still think it stinks though. Would you want some more Watchmen comics? Who would you want to write them and what characters would you want to see in it? Would you want other DC heroes to appear in the comics? Okay calm down. Before I go any further let me just say that this is a rumour from Harry Knowles over at AICN. However, he states it is from a pretty reliable source from someone working on the film. We know Ryan Reynolds is playing Hal Jordan in the Martin Campbell directed Green Lantern film, but until now there hasn’t really been much movement on who will be playing the other roles. This story came from someone working on the film. That part is solid, what isn’t – and won’t be till it all gets finalized is the fact that JACKIE EARLE HALEY is leading the list to play SINESTRO!!! That’s just about perfect in my book! Something that makes me absolutely giddy as all hell! Oh… and according to my source, it’s looking like SUPERMAN will be making a cameo, but that all depends upon how… other DC things go, but it is an indicator that DC is paying attention and taking note of what MARVEL is doing, which has excited all of us so much! But remember, you heard it all here first! Jackie Earle Haley as Sinestro. For those not in the know Sinestro is the big bad of Hal Jordan’s tales – he used to be a Green Lantern who trained and was a friend of Hal’s but it turned out he was a bit of a nasty chap. Haley was great as Rorschach and is Freddy Krueger in the remake of Elm Street. In my opinion he has the right face for Sinestro, but he is a little short for the purple faced fella. As for Superman cameoing (no word if that would be Brandon Routh) well I really hope they have some kind of cameo from him or a few other DC characters just to tie it all in as that is what we comic fans love and geek out on. Do you think Jackie Earle Haley is the right fit for Sinestro? If not him who? How should they get Superman or other DC characters to cameo in it? 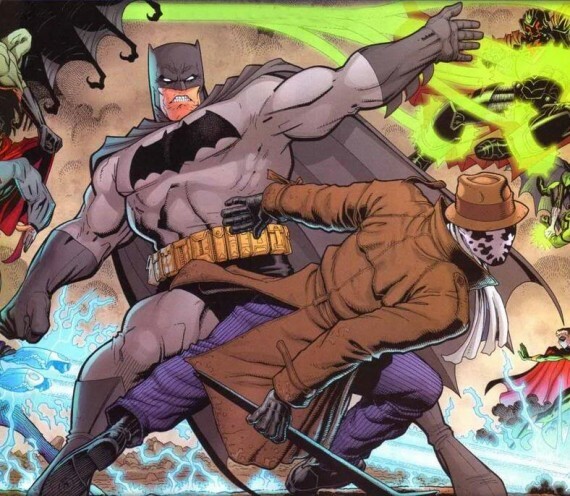 It looks as if the Comedian and Rorschach will be battling it out in the box office next year. Jeffrey Dean Morgan and Jackie Earle Haley are the leading men of The Losers and Nightmare. As far as I was aware The Losers had yet to start filming so it is a bit of a surprise for the release date to be announced so soon. 2010 should be quite a good year for Comic Book lovers – The Losers, Iron Man 2, Jonah Hex and Scott Pilgrim vs The World announced so far. Out of The Losers and The Nightmare on Elm Street remake which one are you most looking forward to? Here is a funny little web series based on the Watchmen world. The always excellent Fan Cinema Today spotted it over on Jackie Earle Haley’s blog. Deadpool has to be played like this in the film.